Having a baby, I’ve been told, is one of the most amazing and life-changing experiences in a person’s life. For the many women who struggle with infertility issues the possibility that this experience might not be one they will ever get to have—is to say the least, devastating. According to the CDC, there are 6.7 million women ages 15-44 who have an impaired ability to get pregnant or carry a baby to term. There are other options and numerous treatments available today to possibly help with these issues for women if they work with medical professionals. But as with anything, they take time and money. Aside from adoption or other fertility treatments administered by a doctor, there are now other steps women are taking to attempt pregnancy. From better health, less stress and even mobile apps that track menstrual cycles—the options are seemingly endless. One device maker is now also offering a wearable that it says can help with fertility by measuring a key component in conceiving—body temperature. The wearable device from YONO Labs is aimed at couples having difficulty trying to conceive by helping women to understand their ovulation cycles and better predict their fertility window. The in-ear device, called “YONO” (You Know), takes a woman’s basal body temperature (BBT)—or lowest resting body temperature, and finds out when actual ovulation (a.k.a the best time to make a baby) is happening. While the method of tracking temperatures is ancient, the recording of data has typically been manual and easily inaccurate. YONO is placed in the ear, worn while the woman is sleeping at night, and takes measurements using precise sensors. Once the device is placed back into the base station, the information is then synced with the accompanying app and data for accurate ovulation time and other health data. 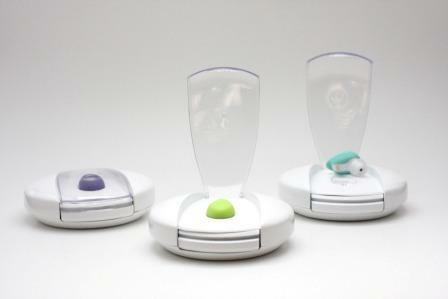 Starting August 3, YONO will be available for pre-sale for $119 for crowdfunding for one month. After that, it will retail online for $149. If you’re interested in hearing more about health and wearables, be sure to check out the Wearable Tech Expo happening August 18 – 20 at Creasers Palace in Las Vegas.